Sharing your Body Story to Empower the World. Deanne suffered from a very young age from body-image issues that were a result of scars that were left on her body after surgeries that were performed at the early age of 2. The affects of growing up with such deep shame of her body have left emotional scars, too... Until she had a wake-up call to change her attitude towards her body. Deanne has since learned that by sharing personal stories of body-shame, people's lives were transforming rapidly. 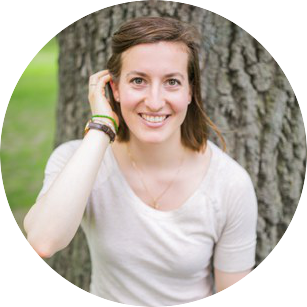 She's been working with women and men alike to help them make their body story a stepping-stone towards celebrating who their truly are, improving their self esteem, creating the ideal relationships with themselves, and attracting their matching partners. Deanne Vincent shares with us how sharing her body-image story with the world transformed her and many of her client's lives. In this interview, we will learn simple techniques to fully connect to our body: how to become aware - and maintain this awareness in the long run - to the signals our body sends us. How to invoke pleasure in our lives with very simple, yet profound shifts in the way we perform everyday tasks. A-30-minutes free consultation call with her. Click here to book it now. VIP ticket holders get a free 1 hour coaching call with Deanne, worth $167. Get your VIP ticket now to access your coaching call.